There is a cure for all disease; but are you brave enough to find it? There is nothing that cannot be cured…. Nothing! The problem lies in the fact that a certain level of bravery is required to find real solutions to life’s problems. Yet sometimes the answer is right in front of our noses. So be glad chance has led you here, to the last healing this natural healing book, the last one you will ever need! Miracles in the Kitchen offers a one stop solution to fast regenerative healing through age old natural methodologies. All of the ancient cultures realized that all healing can be found in nature. No longer is there a need to sift through hundreds of alternative healing books, when we have assembled such a concise and comprehensive compendium of healing within. 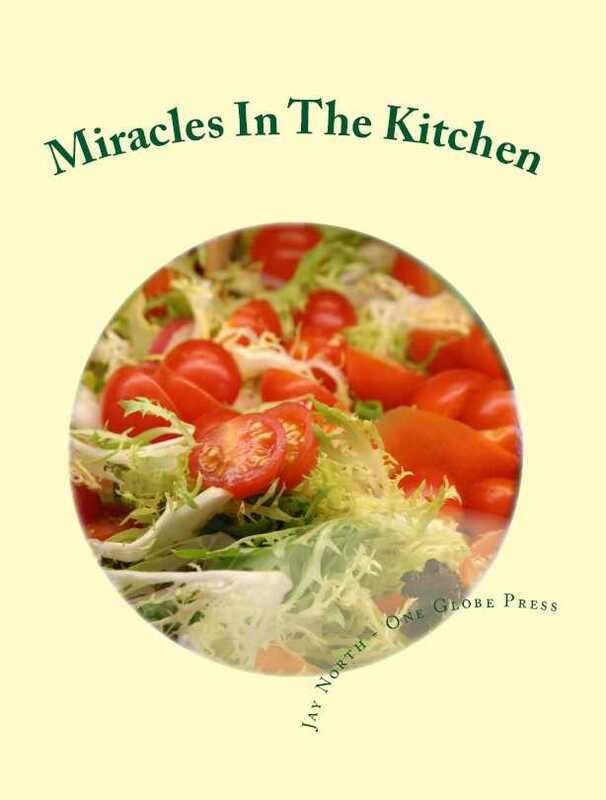 “Miracles in the Kitchen” will allow people to live longer happier and more emotionally mature lifestyles through proper eating and surprisingly simple techniques to staying well. Jay has spent a lifetime worth of research compiling all sorts of natural healing information, and putting it forth to you in the form of “Miracles in the Kitchen”. Save yourself a lifetime’s worth of legwork and pick up this invaluable addition to your skill set today. Buy Miracles in the Kitchen Now Miracles in the Kitchen from Create Space. Share this book with your friends.